Blog — LBC Design Co. I always get so excited when a couple first visits the studio to talk about their wedding invitations. Listening to them describe their style and share information about all the details they are bringing together to tell their wedding story is always exciting for me! 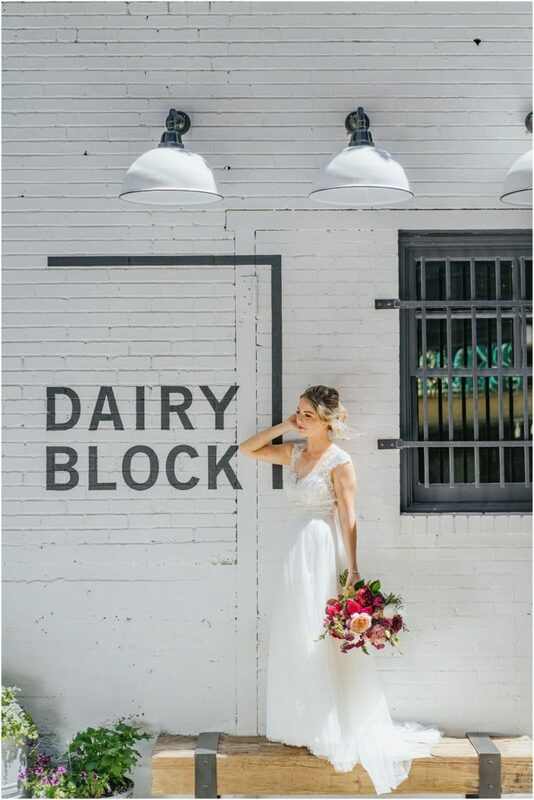 Brittany was clear on her style from the start and had already selected some beautiful vintage pieces from our friends at Plank & Pearl for her eclectic outdoor bohemian style wedding with reds and blush pink accents. After looking over invitation samples she added rose gold foil printing as an accent for their names. As the design came together more rose foil was added to the border connecting the bold organic floral arrangements on the invitation. We pushed the bold boho style with the addition of custom calligraphy for the names and titles of the rsvp and reception cards. Brittany looked stunning, despite the over 90-degree heat on the day of their July wedding in Golden, Colorado. Elevate Photography did a fabulous job capturing it all. Doesn’t her look compliment the invitation perfectly? She definitely understood how all the details would come together on her wedding day and I was happy to be a part of interpreting her ideas and putting them on paper. The wedding day stationery items included a welcome sign, bar menu and place cards for the head table. 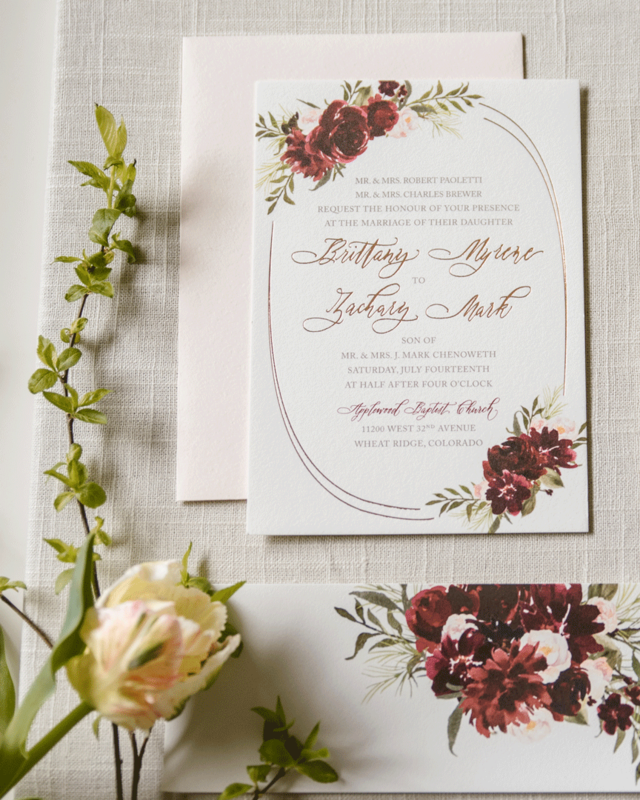 All the day-of paper used the version of the bold red floral bouquet designs, key words in custom calligraphy to keep the look on point with the invitation suite. 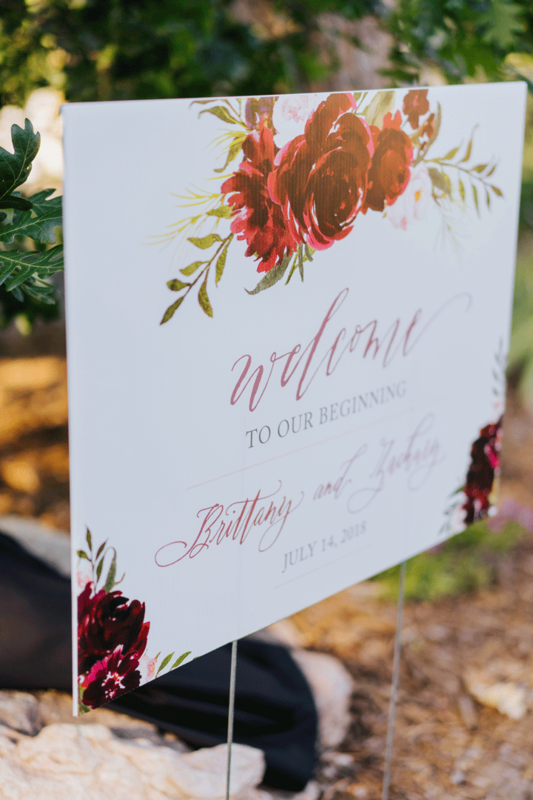 All the elements Brittany selected came together to make for a gorgeous wedding statement personal to her and Zach. Working with other fabulous wedding vendors makes every design project even more special! These are just a few of the vendors from Brittany + Zach’s wedding day who’s work is feature here. I am always grateful to design wedding stationery that showcases a couple’s style. Brittany + Zach wedding invitations, signage and place cards turned into a wonderful interpretation of the bride’s vision and complimented every detail she selected to celebrate the day. READY TO START ON YOUR WEDDING STATIONERY? Use the link below to tell me about your wedding details and invitation style. Thanks for stopping by and sharing my love for beautiful wedding stationery. I can’t wait to talk to you!